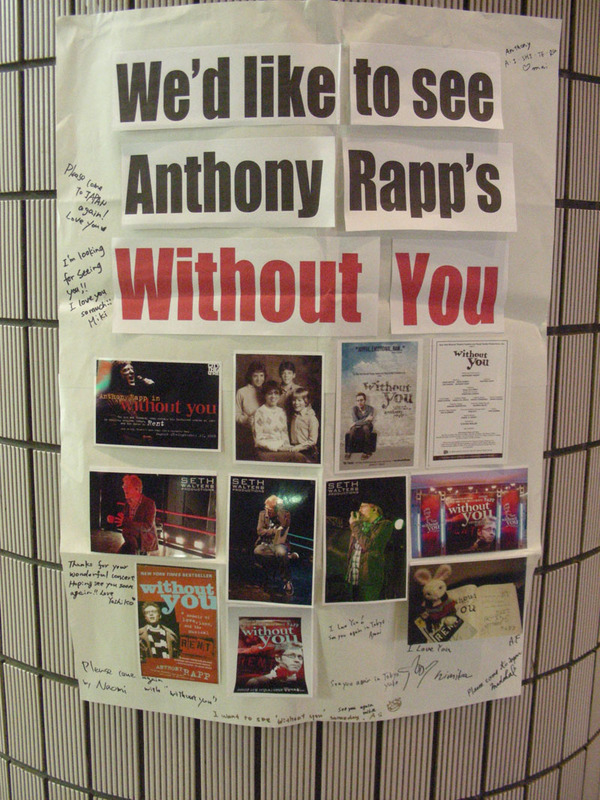 Please give more support to Anthony Rapp's "without you". 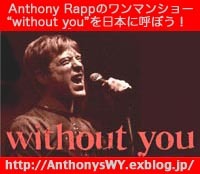 Please write message on the questionnaire form of AP & AR concert that we really want to see Anthony's "without you" in Japan. And send it to concert staff.